Taking a walk before work is the perfect way to explore a city when on a business trip. I look at it as a way to maintain work-life balance even when I'm on the road. It's like taking a mini-vacation when I get up an hour early and walk somewhere I've never explored before. 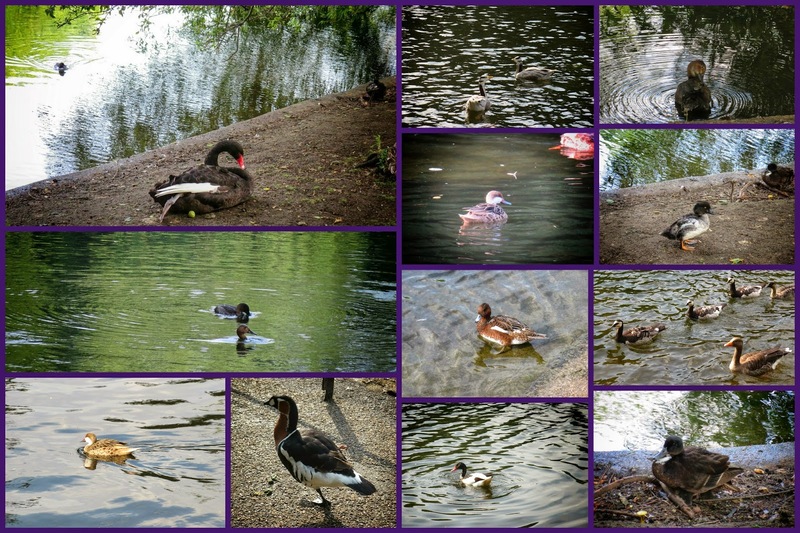 On my recent trip to London, I did a loop around the lake in St. James Park near Buckingham Palace. I noticed various birds on the water and along the shore. There was soon a mad rush of birds surrounding me. At first I wasn't sure why but then I saw this - an older man and his son throwing some bread crumbs to the birds. He looked so happy doing this, it simply made me smile. Of course, I took advantage of the opportunity to photograph some of the residents of St. James Park including a black swan, wigeon, pintail, goldeneye, shelduck, bar-headed goose, barnacle goose, and red-breasted goose. Some of these birds are not native to this area but are part of the Queen's 'Collection'. They were gifted to the Royals and now live happily on the lake in the park in their backyard. Aside from the birds, St. James Park also offers gorgeous wildflowers in summer. I caught a glimpse of the Royal Horse Guard in the distance across the lake. Overall, St. James Park was a quiet oasis from the hustle and bustle of nearby Victoria in London. I highly recommend it if you are looking for a 'mini-vacation' before work if you're on a business trip.